Order by 4PM EST and this Part Ships TODAY! Lowest price on brand new, in-the-box auto parts. 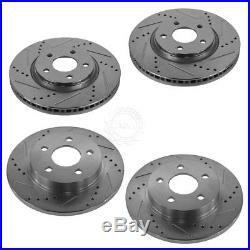 Nakamoto Brake Rotor & Pad Kit Metallic Performance Drilled Slotted Front & Rear. Brake Pad Bonding Type. Brake Pad Features & Benefits. 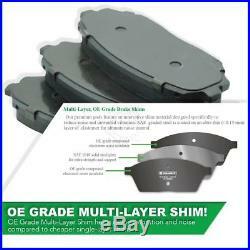 OE Grade Multi-Layer Shim. Brake Pad Friction Material. Cross Drilled & Slotted. Front Brake Rotor Specifications. (1) Front Semi-Metallic Brake Pad Set. 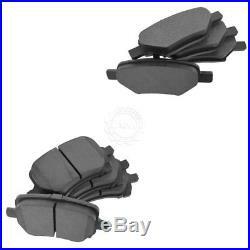 (1) Rear Semi-Metallic Brake Pad Set. (2) Front Performance Brake Rotors. (2) Rear Performance Brake Rotors. Performance Brake Rotor Features & Benefits. 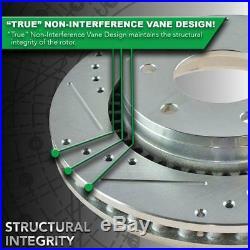 “True” Non-Interference Vane Design. CNC Cross Drilled and Slotted. Rear Brake Rotor Specifications. Premium Posi Semi Metallc brake pads. 8 Piece Front & Rear brake pad set. Comes as a set of 4. Includes both LH (Driver) & RH (Passenger) Side FRONT & REAR. Cross drilled, Slotted, And Zinc Coated. Fits 5 Stud Wheels. Front: 11.65 Diameter Rotor. Rear: 10.63 Diameter Rotor. 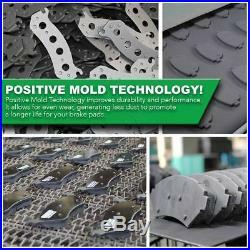 Premium Positive Molded Brake Pads Features and Benefits. The very same manufacturing process the original equipment manufacturers use. High density friction material for long pad life. 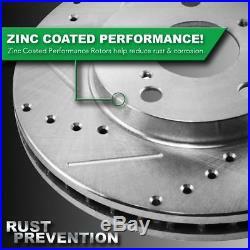 Less resin content virtually eliminates brake fade and glazing. Reduced dusting for both Ceramic and Semi-metallic materials. 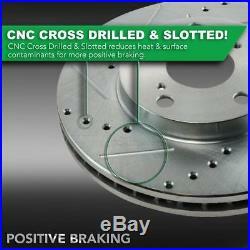 Quality multi-layered shims and pad chamfering provide smooth and quiet braking. 2005-07 Chevy Cobalt RPO Code JL9 (Power 4 Wheel ABS Disc Brakes) Front & Rear Brake Kit Nakamoto. 2008-10 Chevy HHR SS 4 Wheel Disc Brakes without Active Brake Control Front & Rear Brake Kit Nakamoto. 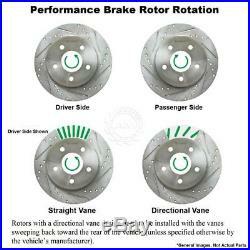 2008-10 Chevy HHR (excluding SS Models) 4 Wheel Disc Brakes without Active Brake Control Front & Rear Brake Kit Nakamoto. 2008-12 Chevy Malibu Front & Rear Brake Kit Nakamoto. 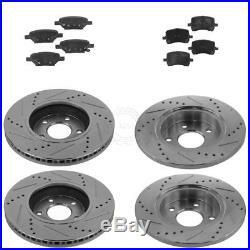 2006 Chevy Malibu RPO Code JL9 (Power 4 Wheel ABS Disc Brakes) Front & Rear Brake Kit Nakamoto. 2004-05 Chevy Malibu New Body Style (4th Vin Digit Z) RPO Code JL9 (Power 4 Wheel ABS Disc Brakes) Front & Rear Brake Kit Nakamoto. 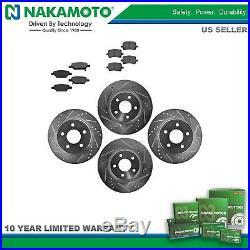 2005-06 Chevy Malibu Maxx RPO Code JL9 (Power 4 Wheel ABS Disc Brakes) Front & Rear Brake Kit Nakamoto. 2008 Pontiac G5 L4 2.4L RPO Code JL9 (Power 4 Wheel ABS Disc Brakes) Front & Rear Brake Kit Nakamoto. 2007 Pontiac G5 RPO Code JL9 (Power 4 Wheel ABS Disc Brakes) Front & Rear Brake Kit Nakamoto. 2008-10 Pontiac G6 Front & Rear Brake Kit Nakamoto. 2006-07 Pontiac G6 RPO Code J65 (Power Front & Rear Disc Brakes) without ABS Brakes Front & Rear Brake Kit Nakamoto. 2005 Pontiac G6 Front & Rear Brake Kit Nakamoto. 2008-10 Pontiac G6 without RPO Code JL9 (Power 4 Wheel ABS Disc Brakes) Front & Rear Brake Kit Nakamoto. 2007 Pontiac G6 RPO Code J65 (Power Front & Rear Disc Brakes) without ABS Brakes Front & Rear Brake Kit Nakamoto. 2007 Pontiac G6 RPO Code JL9 (Power 4 Wheel ABS Disc Brakes) with ABS Brakes Front & Rear Brake Kit Nakamoto. 2007-09 Saturn Aura Front & Rear Brake Kit Nakamoto. 2005-07 Saturn Ion Red Line Front & Rear Brake Kit Nakamoto. In order to keep our prices low, we have the following purchasing policies. If a part arrives damaged, or is defective, it is our responsibility to take care of it but it must be reported to us immediately. We’re here for you! Thank you for your interest and we hope to do business with you! (All Times are EST). The item “Nakamoto Brake Rotor & Pad Kit Metallic Performance Drilled Slotted Front & Rear” is in sale since Wednesday, August 31, 2016. This item is in the category “eBay Motors\Parts & Accessories\Car & Truck Parts\Brakes & Brake Parts\Brake Component Packages”. The seller is “am-autoparts” and is located in Gardner, Kansas. This item can be shipped to United States.